Kitties, after last week's humiliating interview at Mousebreath I am working out! I am flexing my brain muscles by reading. Our friend Cathrine Garnell sent us her book Basil The Bionic Cat. It's all about a kitty who eats some lab stuff and turns into a supercat! I've been reading it for a whole week and I've finished the title and I licked the cover. I'm feeling smarter already. Mummy Cat borrows it from me and is on Part Two. She says it's furry exciting but she won't spoil it for me by tell me the plot. All she'll say is that Basil has bright green eyes and is really tough on criminal plants. It sounds SUPER. Go visit Cathrine and see her book, OK? Also, we’re asking you to help us get word out about our book Katz Tales Au And Target The Early Years and Katz Tales The Adventures Of Scoop and Au. They are discounted by 25% (use code SSW25 at checkout) until Monday only! Now $1.49. Oh and the $$ goes on cat food for us and the strays in the back lane. Mummy Cat is also talking about spaying the new little cats out there as they’re getting tame. Now, after all this reading, I think I have to nap. Brain exercise is tiring you know! We are very excited to announce your news on our blog! We hope that that helps you! Woah, you do look tired!! I didn't know licking the cover helped reading comprehension, Target! You learn something new every day. But Taget, you already a super cat! katz tales: ahhahaha i guess to much exercise is overwhelming u huh? Supercat and criminal plants! Sounds very interesting :-) You look quite exhausted after finishing the title! We wish we'd known about licking the book cover earlier - it would have saved us from getting Mum to turn the pages over for us. We would have been tired after all that work too!!! Mom is going to go check out that book (and yours too). Sounds like a great workout and a great read! Licking the book cover - I never knew that worked. You can bet that from now on, that's what I'm going to do. Oh, thank you for the reminder to order your books! I'll get my assistant on this right now! I thought you were a super cat! Target, My Human finks her students have adopted your meffud of reading buuks! We dint think your interview was humiliating! Well, maybe a little, ha ha meow! Awwww gee thanks you guys are totally pawesome!!! We wonder where we can get some of that lab stuff. We wanna be bionic too! 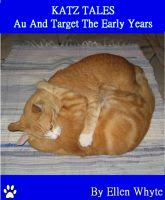 Target you are furry smart to know the secret reading method I've done that with Moms books and it really educational. WE have to go try that book cover licking technique of yours, Target! We liked your interview, it was really fun. But maybe it tired you out some?